By ordering with us directly, you are guaranteed the freshest product shipped directly from our production kitchen. Order from our secure online store using your Amazon account, PayPal or credit card. 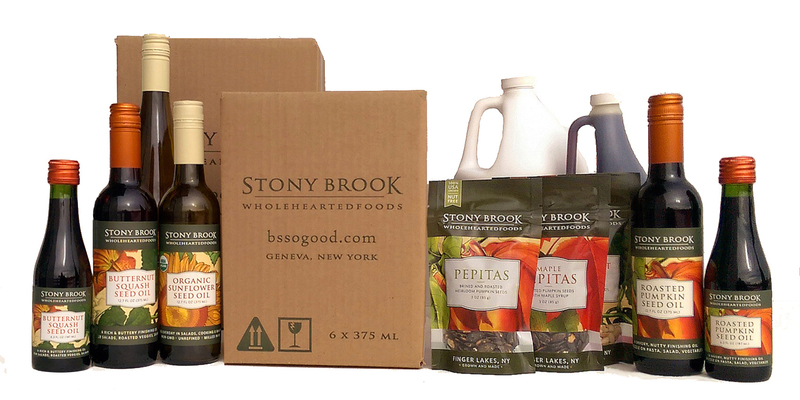 New York grown and made seed snacks, batch-milled culinary oils and seed powders. A wholesome roasted seed snack, our pepitas are roasted fresh each week, made with just a few simple ingredients like sea salt or maple syrup. They have a toasty flavor and satisfying crunch. 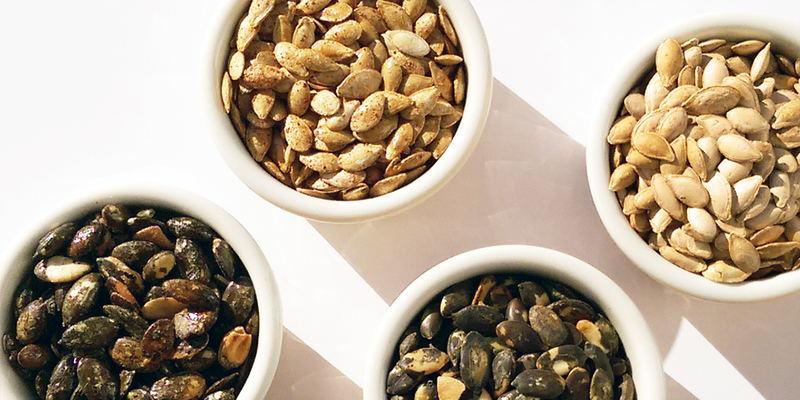 Pepitas are made from two varieties: hulless heirloom pumpkin seed and butternut squash. Enjoy right out of the bag or as a delicious addition to salad, yogurt, trail mix or roasted vegetables. Seeds are a good source of protein and fiber, are keto friendly and a great alternative for those looking for nut free and gluten free snacks. 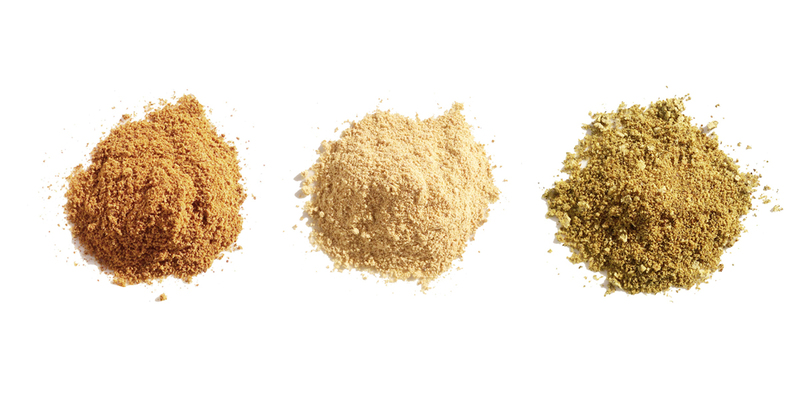 Our protein powders are made from pumpkin seed, squash seed, flax seed, or hemp seed that have emerged from our expeller-press for oil pressing and are then gently milled into a flour-like powder. The powders are single-ingredient with no added sugar, fillers, or salt. A balanced source of plant based protein, fiber, and trace minerals such as zinc, copper, manganese, and iron, add to smoothies or juices for a protein boost, or enjoy mixed with applesauce, yogurt, soups, or add to muffins, cookies and other baked goods. 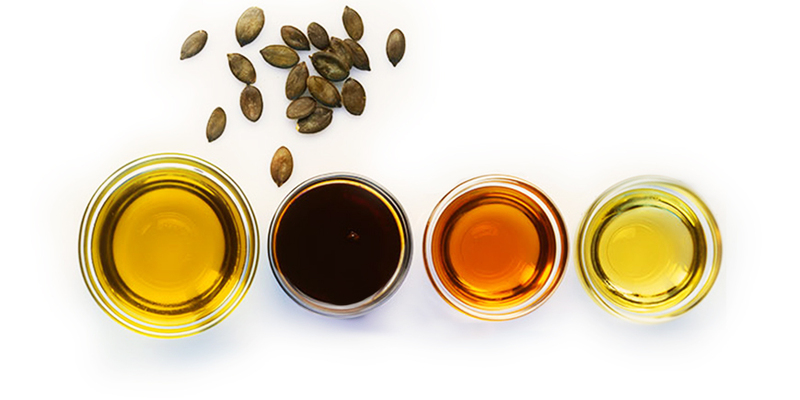 Seed snacks, seed oils and protein powders are available in larger quantities for customers looking for additional savings, in bulk packaging and by the case. We offer flat-rate shipping anywhere the U.S. and free shipping for orders over $49. We are committed to providing the best in customer service. If you are not pleased with any aspect of your order, please let us know! We'll replace it or provide a refund.